Association as a premier racing pigeon association. Mr Peter Ainsworth: for his considerable racing success and his long participation as the VHA's reliable and highly respected Clock Chairman. 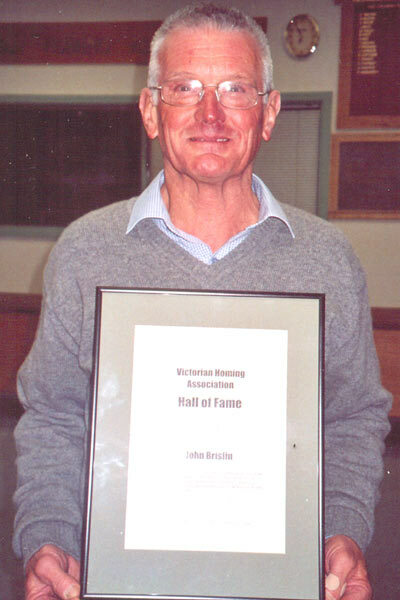 Mr John Brislin: for sustained, continuing services in the conduct of the VHA's transportation of racebirds, his services as a member of the Liberation committee, his personal excellence as a participant, and his considerable skill and expertise manifest at the time of the truck crash in 2004. 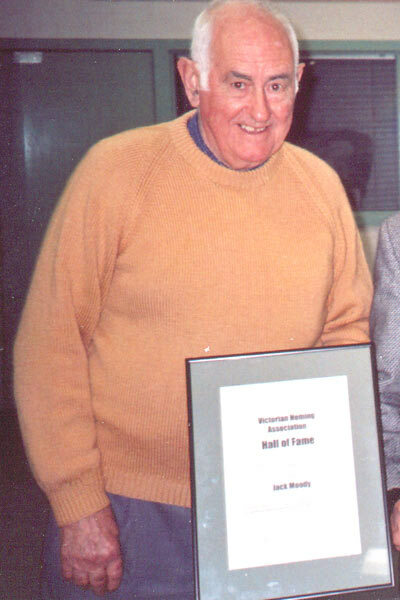 Mr Grenville Evans: Winner of six VHA Federation races, and twice winner of the VHA Old Bird Aggregate. Grenville was recognised for his considerable assistance to new fanciers, and introduced to Australia (and Victoria in particular) pigeons which raised the standard of racing within the this state. Mr Bill Fritz: Winner of eight Federation races, and a formidable opponent in his time in the sport. Among his wins were the Produce, the "500", the "600" and Hobart, and he may well be the only fancier to have achieved that feat. 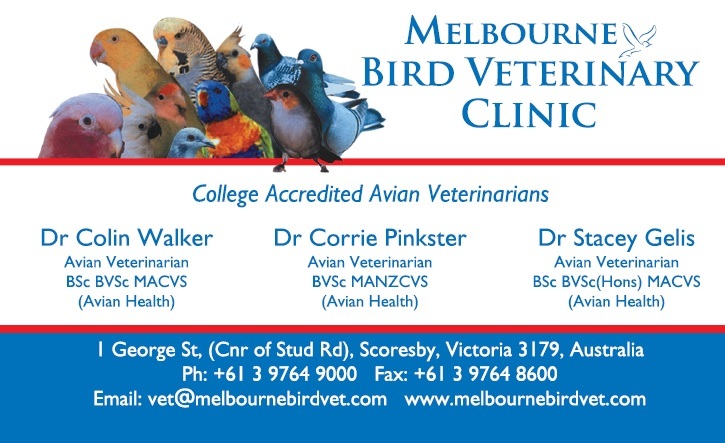 He was twice winner of the VHA"s Old Bird Aggregate. Mr Terry Groves : For his sustained excellence in racing pigeons within the VHA which established him as a most successful "small- team" fancier. Winner of nine VHA events, and the Old Bird Aggregate. His birds were highly sought due to their outstanding quality. 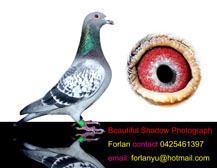 Mr Doug Ince: for sustained excellence in building a formidable long-distance family of pigeons recognised throughout Australia, and his vigorous mentoring of many young fanciers who remain as members of various clubs. Mr Stephen Kearsey: for a long period of sustained contribution to the conduct of the VHA, including eleven years as Secretary of this Association. This period included significant input to the acquisition of Notting Hill Headquarters. 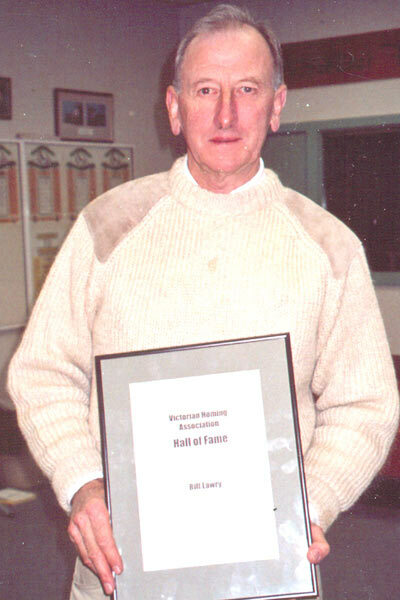 Mr Kearsey played a most significant role in the repatriation of the birds following the truck crash of 2004. A long-time holder of club and VHA offices, he maintains a current role within the VHA as Race Secretary, added to which is a significant racing career which has thus far provided eight Federation successes including the Produce, the '500' and the '600'. Mr Bill Lawry: for continuing representation of the sport of racing pigeons through several media, his considerable success over a long period of time even when engaged in sports requiring this representation outside of his state and country, and his preparedness to be available to assist the promotion of the sport. Mr Tom Meehan: for his considerable racing abilities, and his recognised contribution over a long period of time to the proper conduct of the VHA and its assets. Mr John Mifsud: Known Australia-wide for the quality of his pigeons, he was in a short time within the sport a benchmark within the Federation. He won the YB Derby and the Produce among his seven Federation successes, plus the Old Bird Aggregate in the relatively short period of time in which he participated. In 1954 he won consecutive races from Narromine (644km) and Coonamble (824km), and in 1960 won the Produce and the Coonamble National (824km). The VHA present the "Mifsud Trophy" each year to the winner of the Produce race. Mr Jack Moody: for his considerable racing success, and his significant, respected leadership whilst President of the VHA. Mr Eric Nancarrow : President of the very strong Springvale club for many years, but primarily recognised for his racing success. He remains the most prolific winner of Federation events, and on two occasions won four events in the one season. In 1999 he won two Young Bird events (including YB Derby), and two Old Bird events (Including Produce), a feat which may never be repeated. His family of "Wetering Delbars" became famous throughout Australia. Mr Martin O'Shannasy: President of the VHA for thirteen years between 1968-1980, and also a most successful participant, having won six Federation events and many positions. He won the Old Bird Aggregate and the Combined Aggregate. 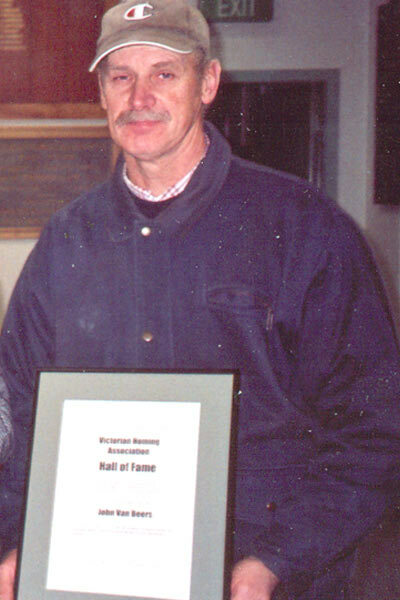 Mr Glenn Perry: Glenn as been a long-time club official as well as the winner of ten VHA Federation races. Most significant is his success in winning the VHA Old Bird Aggregate on three occasions, a feat only matched by two other fanciers. 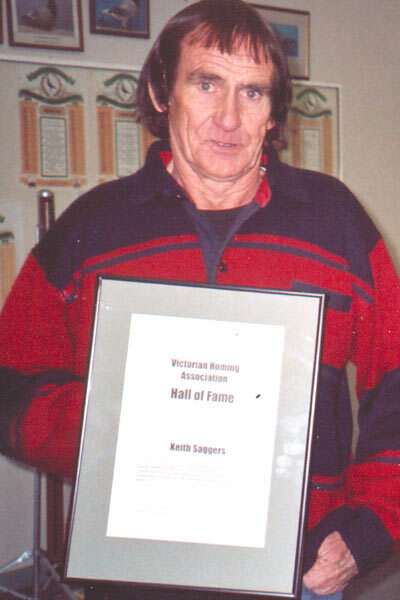 Mr Keith Saggers: for his sustained excellence in racing pigeons within the VHA over a long period of time, his generosity towards new fanciers and country clubs and associations, and his preparedness to donate his time and expertise in the education of other fanciers. 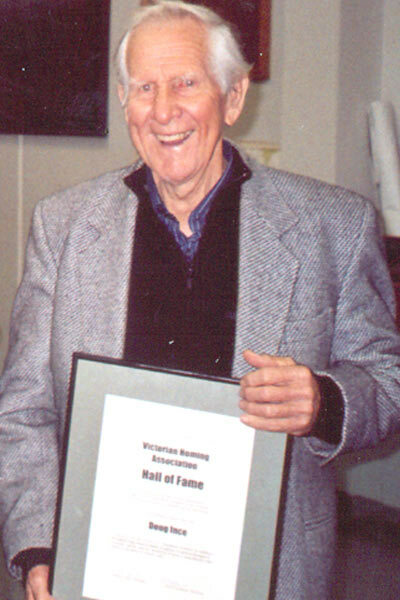 Mr Jack Smith: VHA auditor for many years, winner of seven Federation races, the Old Bird Aggregate, and three five-hundred mile events plus other races in a long and distinguished career. 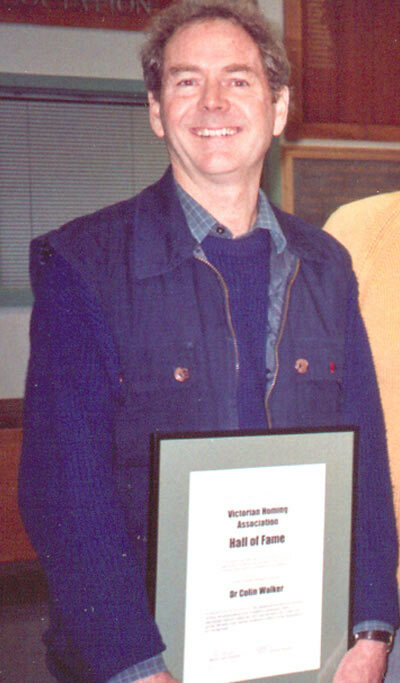 Mr Godfrey Stevens: for his excellence in long distance racing, his subsidising of the VHA's longer-distance events, and his contribution in the building of the transportation-units still in use within the VHA. Mr Jack Stevens : A popular ambassador for the VHA, always ready and helpful to young and older fanciers, especially new entrants to the sport. A successful fancier, he included the Coonamble National (824km) of 1954 and the Carrieton National (837km) of 1959 among his successes. Mr John Van Beers: for his excellence in pigeons racing, and his preparedness to assist to promote the sport in an educational capacity. 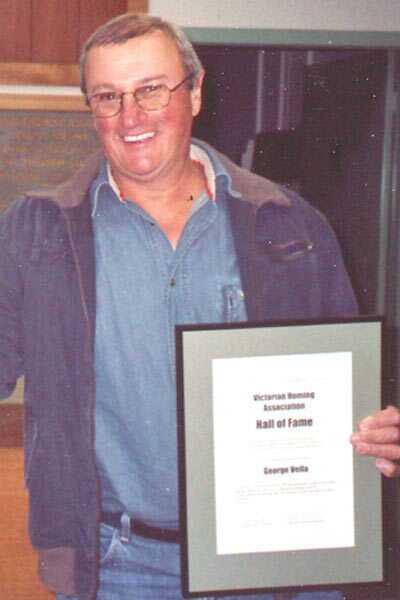 Mr George Vella: for his sustained excellence in racing pigeons within the VHA over a long period of time, and his preparedness to donate his time and expertise in the education of other fanciers within his own Association and the sport in general. 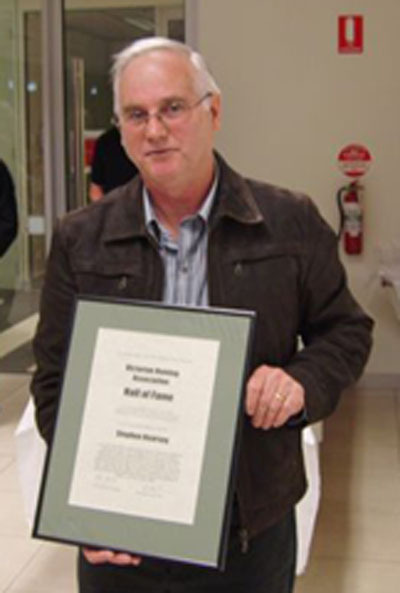 Dr Colin Walker: For his contribution to the Association over a long period of time as Honorary Veterinarian. Further his conribution to the sport in general but removing myth and replacing it with proper health procedures and practices. Mr John Wetering: President of the very strong Springvale club for many years, but primarily recognised for his racing success. He remains the most prolific winner of Federation events, and on two occasions won four events in the one season. In 1999 he won two Young Bird events (including YB Derby), and two Old Bird events (Including Produce), a feat which may never be repeated. His family of "Wetering Delbars" became famous throughout Australia.